Spasticity is an unwelcome side effect of many neurological conditions such as stroke, brain injury or cerebral palsy. Characterized by rigid or tight muscles, spasticity is not actually caused by the muscles, but rather by the area of the brain controlling muscle movement. People who live with spasticity may find that it limits activity and interferes with performing some of the tasks of daily living. While there is no cure for spasticity or its underlying causes, there are treatments available that significantly improve movement and decrease pain. Raymond Rajkowski, 28, of Galloway, N.J. (right), was recently a patient at Bacharach Institute for Rehabilitation. While Raymond could nimbly speed from place to place in a motorized wheelchair controlled with his hands, his legs were very spastic. He was at Bacharach while he was adjusting to using an implanted pump to deliver anti-spasticity medication, known as baclofen, directly to his spinal column. 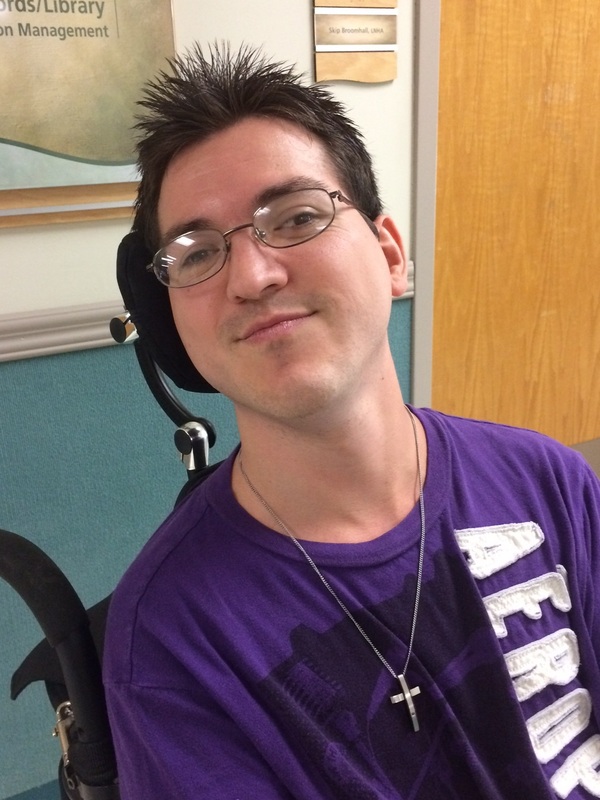 Since the pump is implanted beneath the skin, Raymond will return periodically to have it refilled with medication. At that time, he and his doctor can also discuss any dosing changes that might be beneficial. 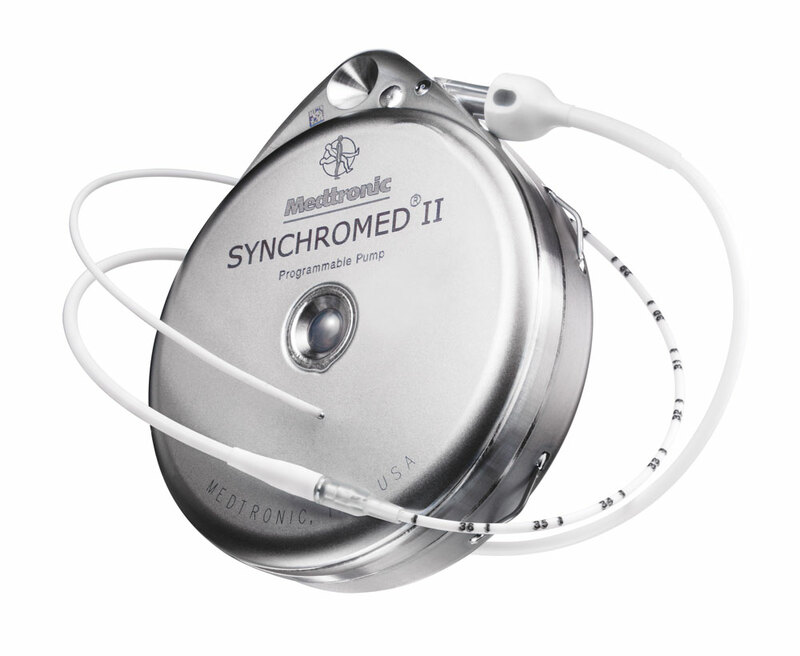 Dosing is regulated by a handheld device that sends the commands to the implanted pump. At a recent visit about a month after his inpatient stay, Raymond counted the ways that the baclofen pump is helping him. “I am doing fabulously, actually. There is a vast difference in how easy it is to get ready for work and just bathing – and just in general,” said Raymond who works in the Government Documents Office at the Richard Stockton College.